Following the finale of the opera season with a concert from former Operalia winners, we've rounded up a selection of your tweets. For those patrons who were unable to purchase a programme on the evening due to exceptionally high demand, the programme is available to download as an end of season goodwill gesture. Download the programme as a PDF. An A M A Z I N G evening - great singers on stage and great singing for the most part. Again blown away with the orchestra and Maestro we have at ROH ...... simply world class. Wouldn't have missed the evening for the world, but please can ROH pretty please ensure that singers are using BOTH sides of the stage and thus not disadvantage those audiences on one side of the auditorium?? Surely it is possible?? But it proved that the auditorium can indeed be used for this purpose very well indeed (as we heard/saw two years ago with the Hampson/DiDonato/Calleja/Pappano recital) and I for one would love to see regular events scheduled whenever possible - certainly End of Season is a great occasion. Please just ensure that everyone (as far as possible) get a little slice of the action. Maestro Pappano as singer?? Not so sure ......... !! LOL On the piano - oh yes please!! Thank you for a great evening and for making the programme available online, alongside the revised programme. 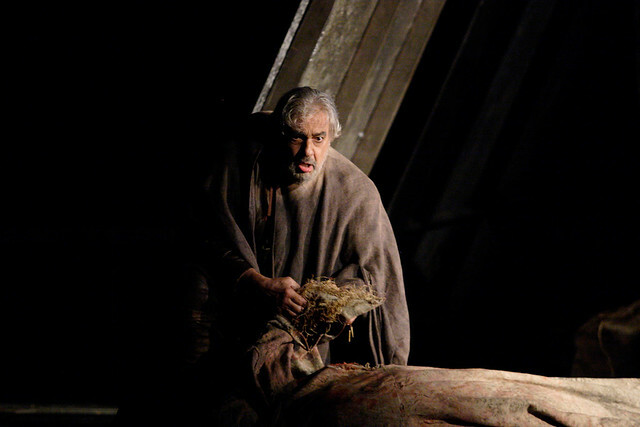 I hope some enterprising opera house has signed up Placido to do Gerard in Andrea Chenier. That would be a real treat.